Deck the Halls with Boughs of Hol-ly ... FA-LA-LA-LA-LA LA-LA-LA-LAAAAAA!! What comes after Thanksgiving, Black Friday and putting up ALL the Christmas decorations???? A WEEK-LONG NAP!!! Hahaha!! Don't I WISH??!!??? 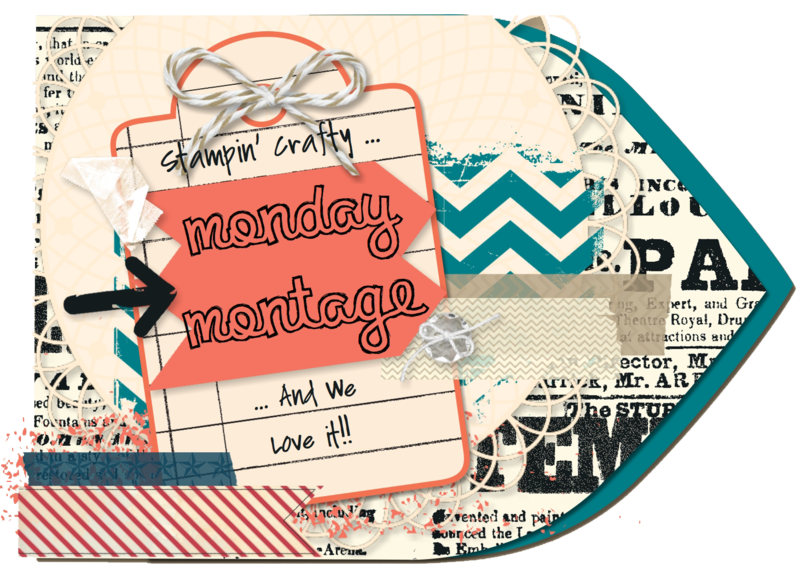 BUT ... Monday Montage DOES come after all those things!! I now need to clean my CraftCave so that I can make all my Christmas cards (the rest of my house is not too bad at the moment, actually!)!!! But this card came together much more quickly than I had anticipated!! I LOVE looking in my Google images search or on Pinterest for inspiration, don't you??? Sometimes it's just a color scheme or a layout that just gets my gears rolling ... and the fact that I FINALLY got a new package of Blackberry Bliss cardstock (LOVE this color!)! I was feeling SO in the mood for a Christmas tree (since I have decorated TWO of them already since Friday!)!! These little trees were MUCH quicker and easier, though. I feel a little like Bob Ross ... aren't these just "happy trees"???? I think so! If I can actually get some time to make my family Christmas cards I will be excited!! I have one designed ... just need to see how feasible it is to "mass produce" ... I always seem to go overboard when it comes to making them!! 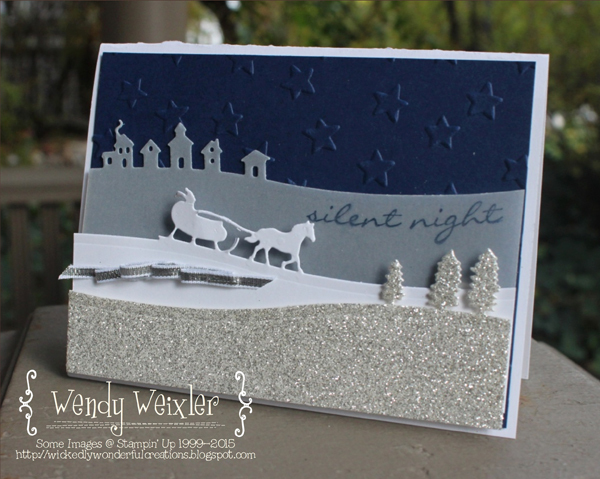 Click "Back" for Melissa Stout and "Next" for Amy O'Neill ... their creations are just BEAUTIFUL!! 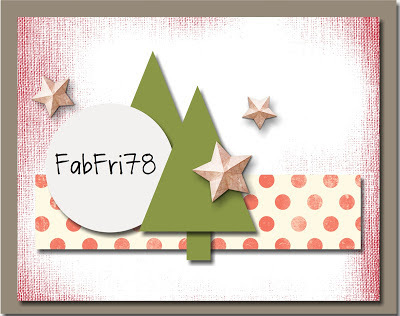 Fab Friday #78 ... AKA Black Friday! How can it be BLACK FRIDAY already again???? 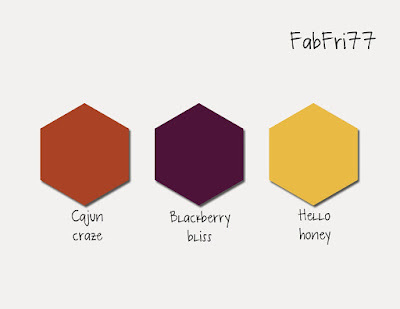 And it also happens to be Fab Friday!! HOORAY!! HOWEVER ... it is really turned into a kind of UGLY thing! And I finally decided THIS year that I was going to forego the trek to any store at Zero Dark Thirty ... and I have been doing all my Black Friday shopping ONLINE!!! IN MY PAJAMAS!!! YAY ME!! 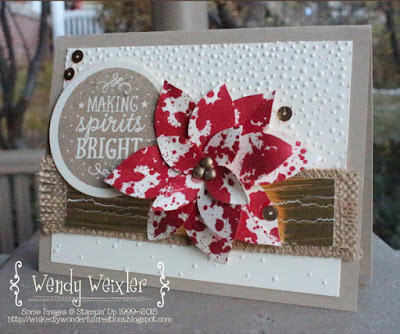 On to my card for this week's challenge ... there is a local florist shop that has the most GORGEOUS poinsettias I have EVER laid eyes on ... and I have been tempted MANY a year to buy one. Alas, we all know the life expectancy on a poinsettia is very limited ... and I can't seem to justify the $50+ it costs to buy one ... so I MADE one! And YES ... they DO look like this!! 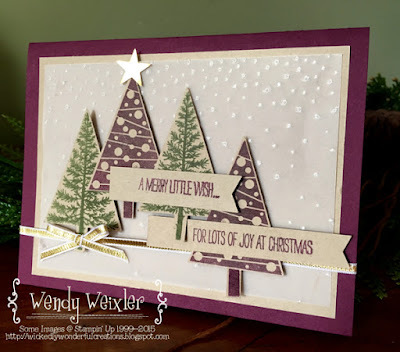 This is a really great and really simple layout ... LOTS of room for interpretation! Tomorrow is the Annual Weixler Family Apple Pressing Day!!! Food, laughter, hugs, work ... and close to 500 GALLONS of apple juice are gonna happen!!! Best.Family.Tradition.EVER!! As the temperatures drop it is getting inevitable that our thoughts turn to the holidays!! Good thing the Freaks are ALL OVER THAT!! 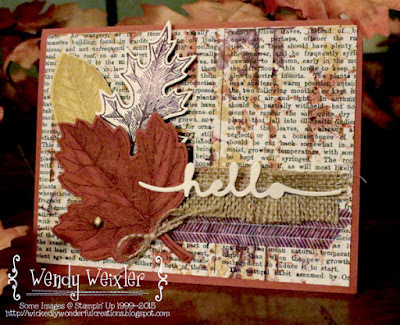 Did you see the wonderful things that Dawn Olchefske made??? She is AWESOME!! So, it IS beginning to feel a bit lit Christmas (my crazy neighbors put Christmas lights on their house the day AFTER Halloween ... not EVEN kidding!)!!! It's taken me a while to get in the swing, but these cards sure helped!!! 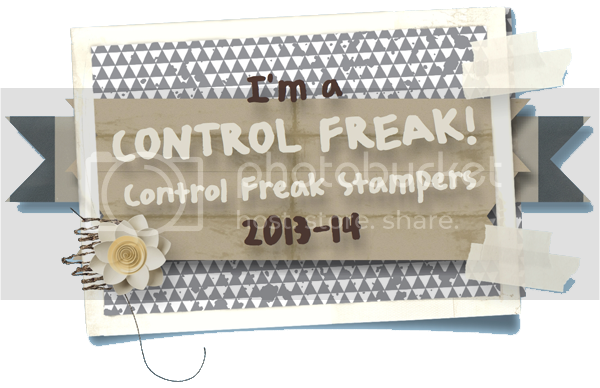 And I know that this stamp set/edgelits die combo has been used a LOT since it came out (because, well ... it's GORGEOUS!) ... but I finally got a chance to play with it a little ... it's super FUN!! I am actually enjoying the cooler temperatures (which is funny for me because I get cold SO easily). Since I have been getting seriously into running I have a whole different outlook for coldness!! Next up??? My running/stamping/online shopping/vertically-challenge partner in crime, Mindy Backes!!! Her "style" will AMAZE ya! Grateful to be part of this amazing group of women for the Monday Montage Blog Hop. They are sweet, kind, funny and WICKEDLY talented. A true blessing in my life, to be sure!! And after all of this crazy WARM AND MUSHY stuff on gratitude I have ... a CHRISTMAS card to share!! This is one of the cards I made last weekend with my stamp club girls. I think I am TOTALLY addicted to the Mini Treat Bag Framelits Dies ... all the little accessories are so stinkin' CUTE!!! I have been using them a LOT lately!! How can we be back to Monday ALREADY???!!! So additionally grateful this week that I only have to go to work two days out of five!!! And I have started my marathon training in EARNEST ... what doesn't kill ya makes ya stronger, right??? Click "Back" for Melissa Stout and "Next" for Amy O'Neill ... super friends, amazing talent!! 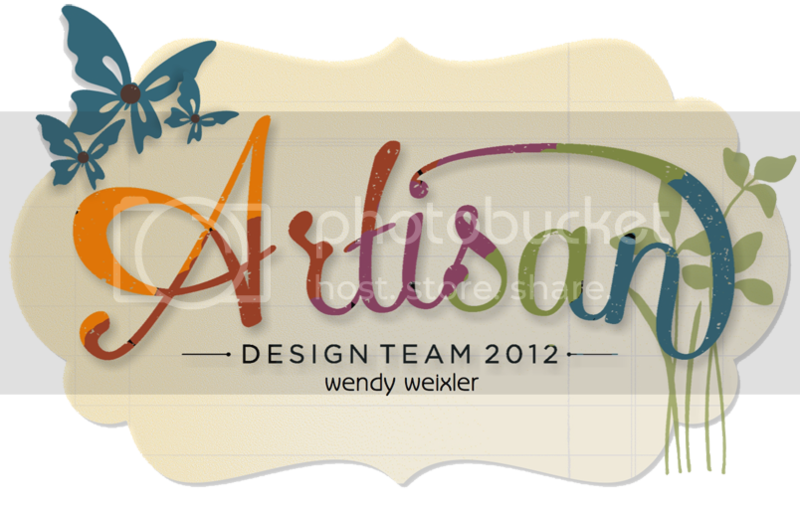 And an extra special "shout out" to Amy this week ... she just found out this past weekend that she will be a member of Stampin' Up's 2016 Artisan Design Team!!! You GO, girl!! Here we are back to another Fab Friday ... and I am ALMOST back to a "normal" schedule. My sister-in-law took over for me at work while I was doing a TON of globetrotting last month (okay ... I guess I was only actually "countrytrotting") ... and then she went out of town for a bit to celebrate her birthday with her daughter in NYC ... which means that I have been working a LOT of extra time ever since I got back from all my crazy running around!! 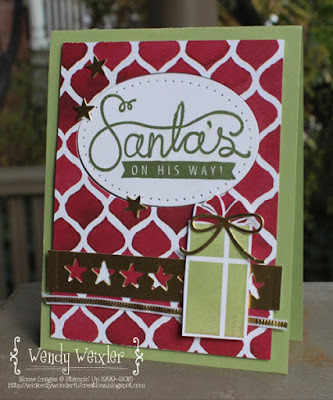 I was THRILLED when I headed down to the Craft Cave yesterday to create for this challenge ... and GUESS WHAT??!!??? It was actually CLEAN!!! The table was all cleared off and ready for me PLAY!!! That almost NEVER happens!!! Lookie at all the purdy fall colors!!! Fall is in full swing. After having been on BOTH coasts in the past two weeks, my barometer and thermometer are TOTALLY out of whack!!! Orlando was HOT and HUMID ... and Anaheim was HOT and a little LESS humid. Utah is TOTALLY chillin' ... the weather for Halloween was crisp and beautiful. I think we had about 500 trick or treaters!!! But the trees are GORGEOUS and the air smells like Heaven!! 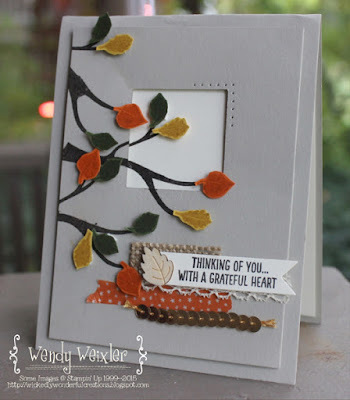 So this card totally expresses my sentiments at the moment ... grateful for this time of year. Grateful for my family. Grateful for the many wonderful opportunities that life gives me. Click "Back" for Melissa Stout and "Next" for Amy O'Neill ... grateful for BOTH of them and the MOUNTAINS of inspiration I get from them ALL the time!